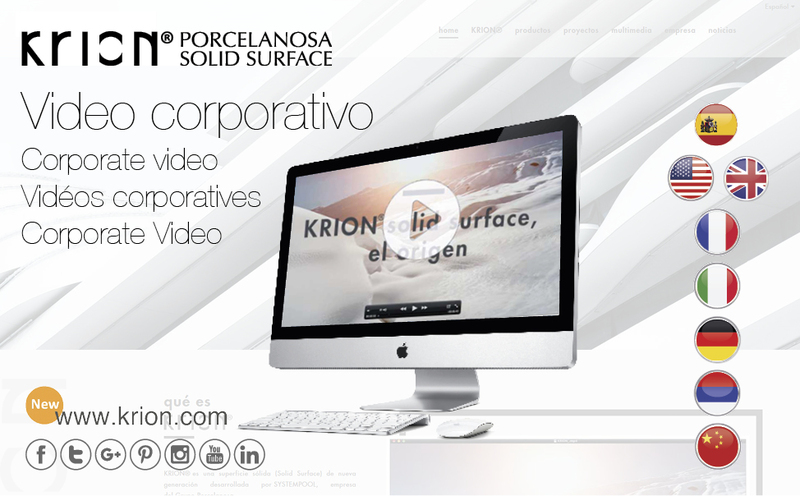 In order to answer the greatest possible number of questions which may arise about our compact mineral KRION®, we have translated both the audio and text of our corporate video into Spanish, English, French, Italian, German, Russian and Chinese. In this short summary we very accurately demonstrate the magnitude of PORCELANOSA Group, what KRION® is, its properties, the sectors of application, and projects. It is an excellent summary which helps us to understand our material and why KRION® is the solution.